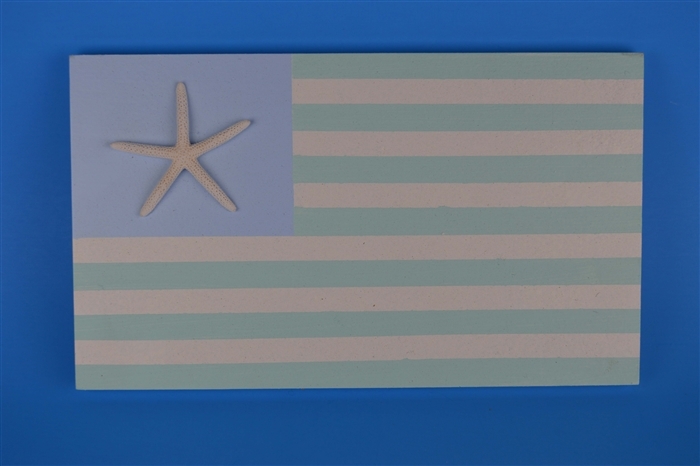 Coastal beach flag, great addition to any nautical decor. Handcrafted from wood and white starfish. Has string on the back for hanging. You will receive the exact flag in the photo.